Starting without a photo since our Mr. Sunshine Live recap ran over. I will add one later! Update: Added! KS asks MR if she is okay? He tells her that she did not make a mistake, but he also tells her not to drink more than 3 glasses without him. He is telling her, do not get a piggy back ride from another man. Mirae wonders what he means by that. The bus comes so he walks to it and asks her if she is getting in. She says she is and walks confused tot he bus. On the bus, Mirae sits behind that boy that followed her that one day, the one she chased down. He says that he follwed her because she was an entertainer. He asks hr if she remembers his name? He tells her his name and asks if she does SNS. KS tells him to remember his name. Do Kyung-seok. The boy asks if he is her girldfriend. SHe says no but he says yes. The little boy gets off on his stop. Mirae asks KS what he is saying. He says that it is nice to say that he is her boyfriend for guys that are bothering her. She continues wondering why he is acting like this. Everyone is in the middle of a lab experiment. But MR’s mind starts to wonder to KS and all the interactions they had where it appears that he likes her. She also thinks about him telling her not to get piggy back rides from other men. She looks at him sitting next to her and wonders to herself, do you like me a little but? KS looks at her so she pretends like she is stretching and massaging ehr neck. SA feels something as well. WY walks by and tells them all to focus, this is the last experiment of the semester. After class, everyone sits outside at a table. They are all fretting about their grades becaue Soo-ah lost the report. They think that they have to find it. They all start looking for it but KS just pulls out his notebook and starts writing. he writes down all the chemestry things. Everyone starts noticing and commetns that he is not just a face genius, he is a real genius. he finishes writing. Jihyo tells Soo-ah that she should buy Kyung seok a meal. She says of course, lets go together. They walk off together for her to buy the meal. But Kyung seok says that it is okay. She says that she won’t by a big meal, just accept that much. They keep walking. They go inside where Sooah talks about being independent and how KS is similar to her and those kinds of things. She talks about how her grandmother bothers her(?) as well. WY passes them while talking on the phone about a good noodle place. KS’s head completely turns around as WY walks buy. Cut to WY and MR eating at the noodle place. WY gives her some extra food and tells her to eat mroe. She thanks him. KS and SA are eating in the cafeteria. She tells him to get the job, people look at faces a lot. CW comes by with one of his friends to make small talk, but KS is not hearing it. CS walks off after telling them to eat well. SA says that KS is uncomfortable hearing that he is pretty? He kind of says he does not care. She tells him that she wants to have the same mentality as him. Don’t you want a girlfriend? At the noodle place, WY asks MR if she wants a boyfriend. She says that there are a lot of pretty girls around. He says that she is the prettiest girl in the department. She tells him not to joke. He asks if this make her uncomfortable? She tells him that she had a lot of plastic surgery. He is all like, so what? You did the surgery to be pretty and you became pretty, is that strange? She smiles at him as if realizing that what he said is so simple and yet so true, he tells her to keep eating so she does. In the cafeteria, KS tells SA that she became independent so it seems like she has a strong mentality to do that, so what is up, is there a behind the scenes story? She says that there is no story. KS and SA go outside and walk together. KS sees Wy and MR together across the yard. We cut to their conversation, he says it wasnt’ anything to buy her something to eat, anytime. Then he leaves for class. MR gets a call at that moment for the part time job that she is looking for. She tells him that she can go to the interview at anytime. Thank you! But then SA comes up and asks her if seh is close to Woo-young sunbae? MR says yes, they live in the same neighborhood. KS walks up to them and tells MR that they should walk home together. MR says she has an interview, KS wonders if they are looking for more people? SA looks at them both but then says she has to leave and wishes KS good luck this time. KS then asks MR if they are also close because they live in the same neighborhood (like her and WY). She says that she just said that to SA. He asks if he can join her on her interview. SA sits by herself outside pondering what just happened. WH takes a picture of her and then walks up to talk to her. She thanks him for something but then tells him to stop taking pictures of her without her permission, it is the same as a hidden camera. MR asks if she can bring her friend, the interviewer says that an interview is not a joke, you cannot just bring your friend. But he lets her brign her friend anyway. They both sit for the interview. The interviewer is understanding but stern and interviews KS as well. They both get the job. He tells them that they pay everyday so put your bank account. One of the workers sees that the man (KS) is so handsome and the woman (MR) is also a little bit unreal (in her beauty). Cut to the sunbae, Tae-young, and Kim Tae-hee playfully feeding each other. But Jae-young is a bit more distant to Tae-hee. CW walks in on them and asks Tae-hee to feed him too, if they are not dating. She feeds him one reluctantly then he leaves. At home, KS starts to read all his new work for his new job. WY walks in so KS tells him that he has a good memory. WY tells him to brush his teeth so he won’t get cavities. Meanwhile, KS’s sister is still making money on her internet stuff. She is eating a lot of food but the people on the internet talk about her bag and how expensive it is. You much be so rich. The sister looks pretty sad but then seh gets a call from Kyung-seok. At first she is upset at him for leaving home, but she kind of softens to him and tells him to see her tomorrow. But he says he cannot because he has a parttime job. She is surprised that he has a parttime job. He tells hr to brush her teeth so they don’t get rotten (what WY told him). In MR’s place, HJ talks to MR about how they should go on a trip. MR wants to pay off her surgery. But HJ just shows her a lot of photos of vacation packages and then asks her if she has to wear a face pack for her part time job? KS is also getting ready for his parttime job. WY asks if he wrote the contract (or signed the contract). KS says he is working with Mirae. This makes WY stand up and give KS a lot of things to do after work like clean and do the laundry. KS is all like, I thought laundry was supposed to be everyother day and the blanket is not in the contract. You sound like a bad landlor. WY is all like, huh, watch your mouth. But then there is a knock on the door. It is KS’s mother. She brings a lot of fresh food there to share with them both. But KS starts bringing up the contract nd how they should not share. WY is so annoyed that he is being called out about the contract in front of all this food. KS asks WY if he has to sign the contract today. WY reluctantly says he can sign it tomorrow. Meanwhile, MR looks at all her cosmetics and perfume to see which one she should wear. She decides to wear the one that KS likes and sprats a lot of it on her. She walks out and sees the CEO (KS’s Umma) with KS at the bottom of the steps. Umma tells MR that she can hop in, but KS says that she does not have to take them. But maybe that is too obvious so he agrees that she can take them. they drive to work and awkwardly talk about the night MR passed out. Umma says it is no big deal, she used to do that a lot as a kid too. then she brings up MR’s candle and talks about how everyone liked it. She also tells them to be careful at work. Mirae is lined up with all the employees and practices what she will say to customers. The boss thinks she did a good job. he tells her and KS to asks him if they have any probelems. There job is interior curator. They all go and take their spots to help customers shop. This place is an expensive looking housewares shop. But KS’s sister comes in unexpectedly so he walks to the side to talk to her. Elsewehre, Hye-sung is working at a coffee shop with her manager. She wonders how old a young man at the coffee shop it and how he is at working. the manager says he is just young, why are you asking? Umma says just becuase, then she fiddles with her phone. At the department store. The sister talks with KS and MR. KS says he lives with sunbae, the sister looks at MR. MR is all like, I am not sunbae, we are friends, we are in the same class. The sister says that she has to leave once their father is elected because she will have to hide away. But KS tells her that he will talk to father again, she won’t have to leave. They start to look at the menu and get food. But the siblings order one meal and share it. Mirae gets her own meal. Mirae is beautifully mesmerized that the siblings share a meal, but the siblings just think this is normal. Cut to Umma showing up at the department store. She looks around fora moment and then sees her son and Mirae waling in with her daughter. She quietly hides somewhere and is able to recognize hr daughter. this makes her almost blow her hiding place. Umma leaves and walks to the bus stop where her daughter is. The daughter does not recognize her and just continues sitting. But umma calls her name so the daughter looks at her startled as if she feels something. Inside, Mirae and Kyung-seok set a table. Mirae is smiling and tells him that he has an oppa like side. He tells her that she can call him oppa too. He walks away when someone calls his name but Mirae is smitten and says that he has a greasy side too (like a romantic side). Elsewhere, Umma talks to her daughter inside a cafe. She is sorry and tells her that she should hae taken her with her. But her daughter calls her ajumma and says that whatever she says will not change. You left your husband and kids with an affair. Umma is all like, affair? What are you talking about? the sister says that she should not look like that, she is the one that should look like htat, their life is more pitiful! She gets up to leave but tells her mother that crying does not change anything before storming out. However she also cries outside and says either Oppa or Umma as she walks away. After work, Mirae walks out but is talked to by a man. She tells him that her friend is waiting so she has to go. KS asks what they talked about so Mirae tells him that he just asked something. they go to the bus, Mirae says that they are getting 100 a day so if they work 5 days they will have enough money for the month. KS also looks at his bank account and is crazy happy. He only has to pay $70 a month which makes Mirae gasp at how cheap that is. WY is so nice. KS says he does all the housework. Mirae says that she thinks he is just making KS do all the housework so that you can pay less, he is so nice. KS gets a call from WY at that time and is told to come home and do the hosuework quickly! KS asks Mirae where they buy samgyupsal. In the apartment WY says that they have beef steak in the fridge, why do they need samgyupsal? Cut to KS buying samgyupsal with Mirae. She tells him that yellow fath is bad, it should be bright. He asks how she knows, she tells him that she followed her mother grocery shopping all the time. then she asks if he will buy groceries too. KS has a flashback of thinking that Mirae can handle three glasses of soju but WY can only handle two. WY is all asleep on the couch so KS wakes him up and tells him that she put Mirae in her bed. WY is so jealous of this. KS smiles as he thinks of it and buys some soju for Mirae. Mirae says that HJ is waiting for her. KS tells him to bring her with her. Mirae wonders why KS is being so kind. Umma shows up angrily to the politicians office and asks to talk to him. He tells her that she does not have manners. She says that the one without manners is the one that spread a rumor that the mother had an affair and left her children. he tells her that his right hand person is there. Umma tells him to leave becuase she has a story that is very bad for the senator. Meanwhile, the four have a party at KS and WY’s house where they eat samgyupsal on the octapang roof. KS is a lot better at cutting the samgyupsal now. Back at the politicians, Umma tells him that she knew he would spread all these bad rumors, but she can’t stand her children misunderstand her. He says that whatever the reason is, their mother left home and he took care of them. Umma thinks he is so bad, do you want people to judge what you did to me following the facts? This gets his attention so he sits up and asks if she is threatening him. She tells him that he is not confident so that is why he thinks it is a threat. She would love to ruin everything about him, but she is giving him a choice, tell the children the truth. Back at the octapang, WY tells him to eat eat eat. KS asks him why he is saying that as if he is treating. WY says he is cooking it. HJ says the meat is good but sunbae is cooking it well which is why it is delicious. KS gets all serious and glares at HJ, but then he says that they should drink soju. Mirae is not drinking, she is drinking cola. WY is not drinking too, KS asks if it is becuase he passed out after drinking two cups? WY says he just went to bed because it was bedtime! His nickname is Yeaon Strength! KS tells him that he say him pass out after two cups. WY tries to explain that drinking is not about strength! MR and HJ wonder what this situation is. HJ tries to figure it out, is this situation like showing who is stronger? Why don’t you arm wrestle like a man? WY says he will break his arm. KS wonders if he is not confident? HJ tells him to stop wresting with his mouth and do it with your arms. Are you all right handed? I will bet on Woo-yung sunbae, what about you Mirae? Mirae does not know. WY says he does not want to hurt someone…ahh….you won’t be able to use your arm…. Politicians house. The father goes into his daughters room to tell her the truth. She is playing something on her phone. Arm wresting. WY and KS arm wrestle super seriously. Mirae thinks someones are might really break. HJ thinks this is so fun and exhilarating, do you want to do it! My heart! Finally, WY wins and falls on the ground. He pulls himself together and tells KS not to be discouraged. MR tells KS, second place is good, lol. House. Father must have told the daughter everything and says, anyway, she ditched you. But the daughter says that seh would not have thought about her so badly, I thought she was a really bad person, why did you make her like that! LEAVE, GO, LEAVE! She throws a pillow at him. He tells her that they can talk about it again when she calms down a bit and walks out. Octapang. Inside the octapang, KS does all the dishes. MR and HJ leave. WY tells him that he can do the dishes. But KS says he is okay. WY pats him and playfully asks him if his arm is okay, don’t endure it and go to the hospital. then he happily leaves to his room. Outside, MR and HJ thinks that KS is so upset. HJ thinks that it is becuase he really likes MR. MR thinks they are just friends, but HJ says that he might really like her. No one can refuse him. MR says that he is not her ideal type. Her ideal type has a normal face and is okay with her plastic surgery, he does not have to be too tall or too rich. HJ nods and tells her that she has a lot of conditions. MR asks her type. HJ says that it is someone like Woo-young sunbae. MR agrees, not that many guys are like Woo-young. You have high standards. They both laugh and says that is why they are not dating each other. But hen MR gets a call from Soo-ah. She says that she is calling because she is bored. You had a part time job with Kyung-seok right? Can I see you at school to tell you something? Mirae hangs up. HJ asks who that is, Soo-ah? She is really strange, do not trust what she does. The maid calls for the senator and frantically says there have big trouble, his daughter left home! The father tells his manager that his daughter left home, find her quietly. Here are only one or two days before the election so he tells him to find her quietly. Meanwhile, Mirae walks to the bus and sees Kyung-seok waiting for her at the bottom of the steps. KS is looking at the ground as if in a catalogue photo. Mirae thinks that he is just like a pictoral. Is that the normal look of a guy that goes to a parttime job? She stares at him mesmerized. He notices ehr and asks hr why she is not coming. She tries to shake it off and walks with him to the bus stop. She says that he is not unhappy. He says that he just gave WY a break since he gives him a discount. Mirae smiles and says, okay. But then she gets a call from her parents. they ae on the way to give them some food. Appa asks her how much she makes, $100 a day?!? What?!? they drive to her workplace. Mirae talks to her parents happily but then Kyung-sok walks up looking fine. the parents are mesmerized. Appa asks what kind of relationship he has with Mirae. She says they are friends. But he says that they are the best friends in the department. However two women call him over to help them. Mirae’s umma and appa are still mesmerized as they watch him walk away. Umma says that it is good to have plastic surgery so she can have friends like that. But two other women walk buy and asks each other if Mirae is a Gangnam Beauty? 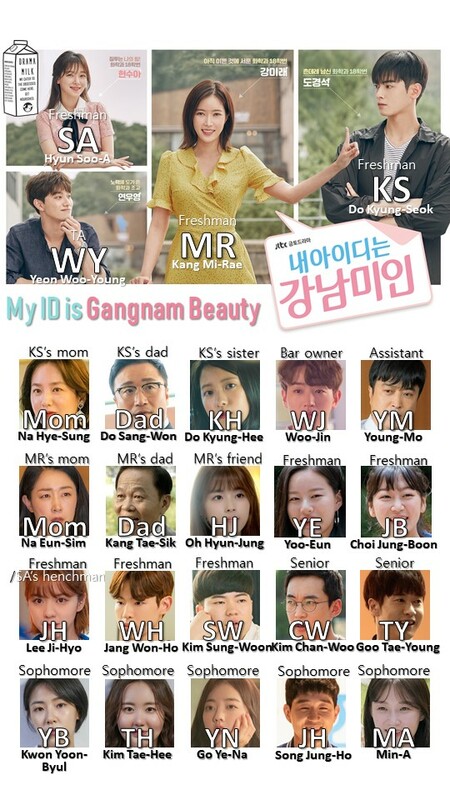 It is a real Gangnam Beauty. 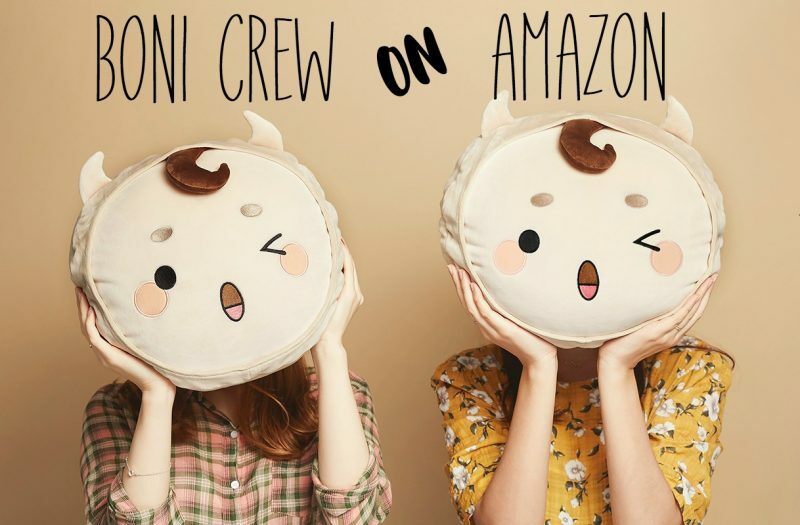 Umma and appa are super happy about this. 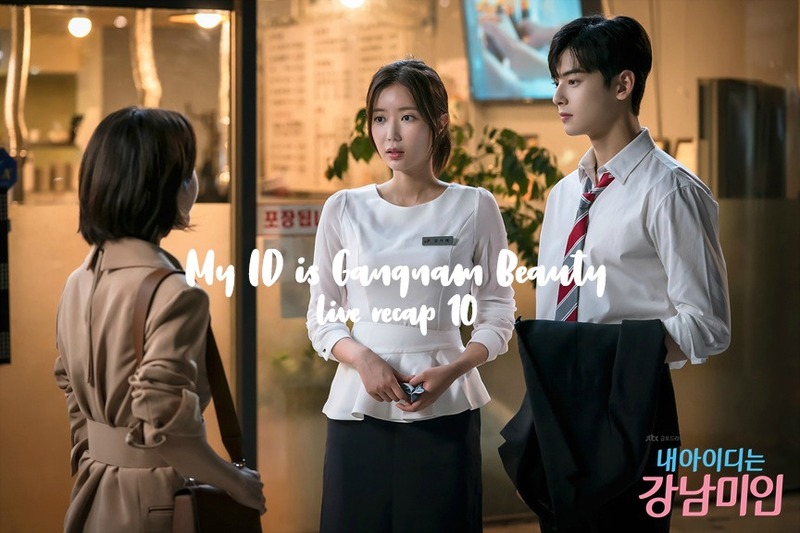 WOW, not just a beauty but a GANGNAM BEAUTY! I need to go to a hair salon so I can be in the same class as Mirae. Maybe I should get a haircut? After work, the same guy that talked to Mirae last time talks to her again and says that she must exercise a lot because she has a good shape. KS sees this and asks what he said. Does he want to eat with you again? Mirae just tells him no and says something about hardships at work. KS gets a call at that moment and is called away to see his mother. We cut to them talking about Kyung-hee. Umma says that she knows they really hated her, she is really sorry about that, she can’t go back and hug them or take her past back. She did not leave because she was having an affair, that is not true. She is sorry about this, you guys must have had a harder time, all the time. Kyung-seok tells her that he did have a hard time. He hated her, but now…he hopes that they won’t get hurt anymore. He tears up as he says, umma. Then he gives her a tissue. She thanks him for it, she is really thankful for it. She also apologizes again and says that she does not deserve this. She is super happy so she is really sorry. Cut to Mirae standing outside as she waits for Kyung-seok. He walks up and asks if it was something with the CEO? He says she is okay so Mirae relaxes. But he asks if people can cry because they are so happy? Have you cried with joy before? She says yes, when she was accepted for college, why, have you never? he says that he is not sure. She asks if he has never been happy like that? He says he is not sure. they start walking away. he tells her that he is not sure if it desrved a tear, but he is happy to see her again. Mirae is all like, you are that happy to see me? Well, then I will wait for you more, but Hyung-jung is waiting so lets go. Soo-ah sends Mirae a message to meet at school. They meet outside somewhere and have a bit of small talk about the part time job. She asks if they are hiring anyone else? It would be fun to work together with her and Kyung-seok….what is it, do you not want to work with me? Mirae says it is not like that, she will ask them. Soo-ah says that actually, she likes Kyung-seok. Can you help me? Mirae says this is not a problem I can help with. Soo-ah says that she is asking because they are best friends….but do you also like him? Mirae thinks to herself, shouldn’t I like him? Soo-ah tells her that she will do better than her, she is pretty and polular with men. Being pretty is a gift right? Because people like you. So the people who do not have it want to enjoy it, that is why they have plastic surgery. That is why natural people have a disadvantage. That is true. the pretty face with plastic surgery makes beauty less rare. Mirae takes this in for a moment and looks like she is about to slap a B.
Mirae -I thought I just mistook you as a bad person, but I was wrong. You hated me from the beginning. I want them to focus more on the main couple and a little less on Kyung-seok’s mother, though I do understand that this will interfear in Kyung-seoks life a bit so it is worth exploring. Similarly, they can cut that side triangle with Tae-hee, Tae-young, and Soo-ah. We get it, Soo-ah is evil, but does she have to ruin everyone’s relationships? I’m surprised they cut directly to Soo Ah revealing her nasty side to Mi Rae, but I’m also relieved because now Mi Rae probably won’t give up on Kyung Seok so easily. Thanks so much for the recap! I like the Hye Sung storyline, but I do want to see more of Mi Rae’s growth outside of KS family stuff. Ironically having her go up against Soo Ah may do just that.